Originally meant to reference a person's issues with adjusting to a new time zone, "jet lag" has become a catch-all term for any kind of discomfort or fatigue experienced as the result of extended air travel. 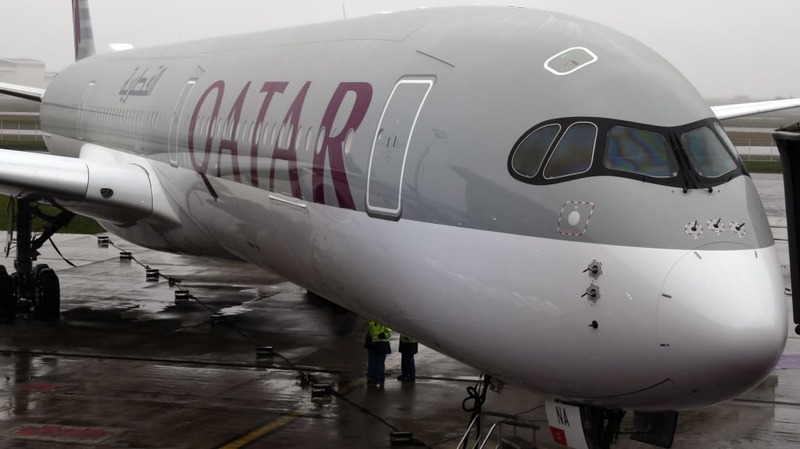 Qatar, the airline offering the new Airbus A350-1000 passenger plane, is hoping the aircraft's design might reduce symptoms by changing the entire experience of flying, as USA Today reports. Stale air, poor lighting, and high altitudes are some of the common reasons passengers can develop fatigue during or after a plane trip. The A350 addresses each of these issues. The cabin air is replaced every two to three minutes, with Qatar claiming a 20 percent increase in air quality; LED lighting can mimic sunset and sunrise, keeping the body’s circadian rhythms intact; and the cabin altitude itself is pressurized to 6000 feet, down from the 8000 typical of most passenger planes. The latter adjustment might be the most important. At 8000 feet, your heart and lungs work harder to supply oxygen, prompting shortness of breath and discomfort. Qatar is boasting increased comfort in other ways, too: The Airbus has 18-inch wide seating, more head room, and better cabin humidity to avoid dried-out noses. Qatar has ordered 37 of the A350-1000s, with the first already in service from Doha to London.